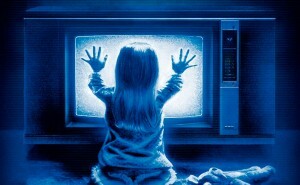 “They’re Here.” ‘Poltergeist’ is Getting Remade!!! We’ve been hearing about a ‘Poltergeist‘ project for a while now. Seems like this undertaking has gained some steam and has some heavy hitters behind it now, which will be a reboot of the 1982 film, but also a sequel. Gil Kenan is on board to direct, which his big claim to fame was directing the 3D CG animated film ‘Monster House‘, which was followed by ‘City of Ember‘. 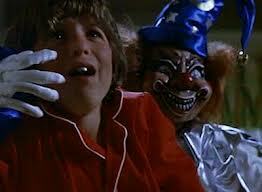 But get this, Sam Raimi, Rob Tapert, and Roy Lee from ‘The Evil Dead‘ films will produce this ‘Poltergeist‘ reboot. The film will start shooting in September in Toronto, Canada where according to MovieHole, David Lindsay Abaire is billed as the top screenwriter. Abaire and Raimi worked together on the recent ‘Oz: The Great and Powerful‘. This new project will feature a new family some years after the Freeling family was run out by the evil spirits. This story will follow Eric Bowen and his family where he loses his job and relocates to a new town to start from scratch. His young daughter Madison disappears, where his wife has the ability to communicate with the dead. Then we have Dr. Brooke Powell, who is a parapsychologist at a local university, where she and her team investigate the strange situations going on at the Bowen house. Meanwhile, Powell’s ex-husband Carrigan Burke, a tv personality who hosts a show called ‘Haunted House Cleaners’ has a meaty role and he is supposedly afraid of no ghost. We also are hearing that we will see some homages to the original, which don’t make any sense. Supposedly in one scene in the new remake, the kids find some od things in a sliding panel in the attic, which are some of the Freeling’s possessions. They find the ‘Star Wars‘ bed sheets, the tv set, and some Christmas decorations. Didn’t their house implode in front of them at the end of the first movie? I mean, it’s cool, but doesn’t make sense. The new film will have new characters and stories to tell, but will feature some of the same arcs of the first film. For example the scary tree outside the house will be there as well as that creepy clown doll. Unfortunately, Steven Spielberg and Tobe Hooper are not a part of this project at the moment. With Raimi on board, I’m sure they are going for a true horror film and with Kenan’s family oriented background, they might make a decent reboot. Casting is underway right now. All I can hope for is a Craig T. Nelson cameo. And who will replace Zelda Rubenstein? Those will be hard shoes to fill. Check Out the New Trailer for the ‘Poltergeist’ Remake!! See The Poster For James Wan’s Horror Film, “Insidious”!!! This entry was posted on Wednesday, May 22nd, 2013 at 10:23 am	and is filed under Film, News. You can follow any responses to this entry through the RSS 2.0 feed. You can skip to the end and leave a response. Pinging is currently not allowed. This is awful news. Too many remakes & reboots. clearly no original ideas left in Hollywood. Just because F/X’s are better today doesn’t mean the film will. Some films just shouldn’t be remade. I agree. I don’t have high hopes for this reboot, even if Sam Raimi is a part of it. « This is What We Know About the XBOX ONE!! !